Lucky block is a special box with a surprise inside, you just need to break it to get useful things or unhappiness. There are many similar mods that are added to our site, use the search to quickly find them. 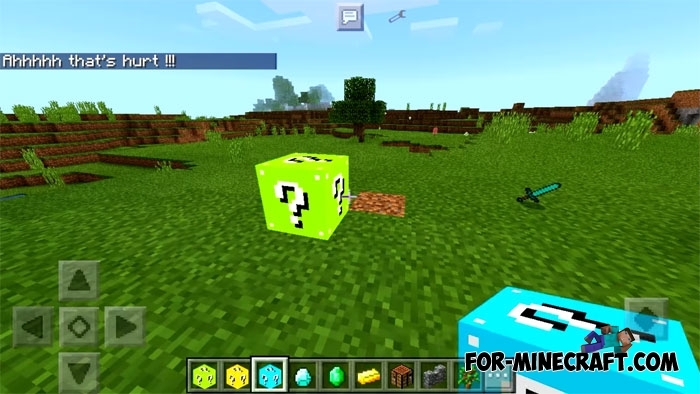 The More Lucky Blocks mod differs from others in that it adds three types of such blocks as well as crafting recipes that work great in survival. 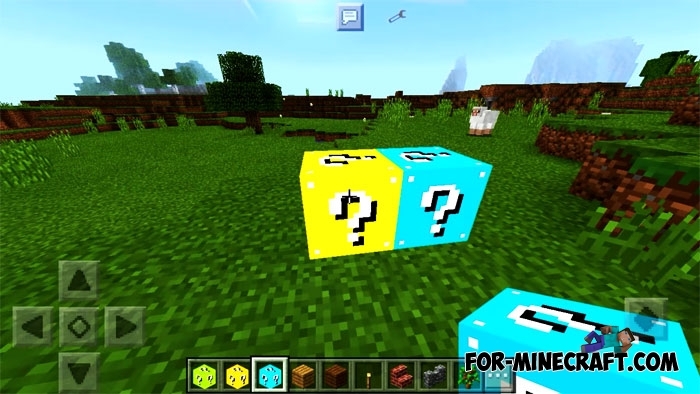 How to get the lucky blocks? If you have creative mode enabled, simply open the Blocks section and select them. But if you are an honest player and play survival then use the recipes below. Yes, recipes are very expensive but you can get a lot more gold or diamonds if you are lucky. Each block has its own result: you can experience both negative and positive moments. For example, if you are unlucky then get ready to meet a group of evil mobs, see the last explosion in your life, take negative effects and much more. 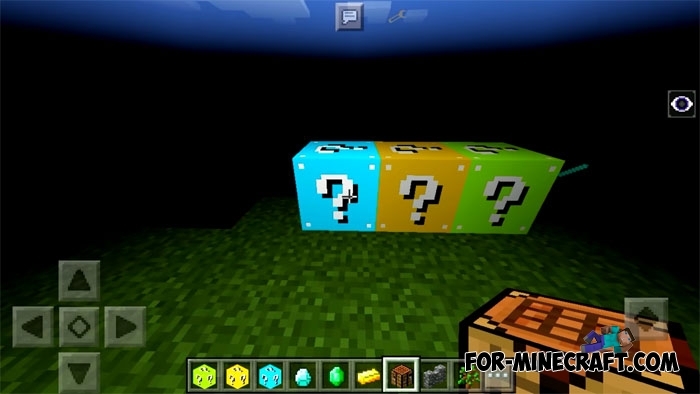 But if you're lucky, then the lucky block will give you a bunch of gems, things, structures, weapons and armor. Remember that these blocks are unpredictable so break them away from your house if you do not want to see a huge crater.